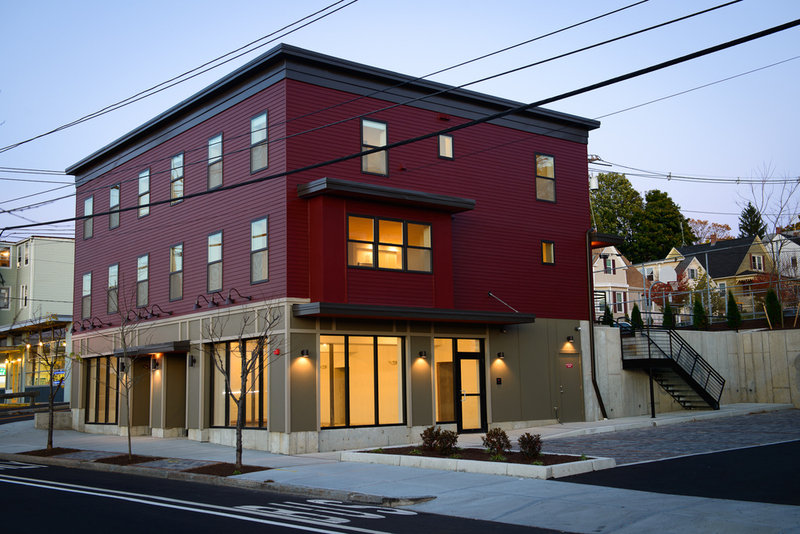 Completed in 2014, this small mixed-use development is an experiment in bringing back residential buildings to a busy commercial corridor overrun with parking lots, big box stores, and single-entity retail. Initial signs are promising: the building is fully leased and the project has been well-received by the neighborhood and the city. Transforming this site - formerly nicknamed "Tar Beach" because it was covered in unflattering asphalt - was a particularly satisfying urban infill project and a perfect example of the power of design and our creative approach to development. 1261 North Main is also continuation of our quest for affordable energy-efficient design. This is our first attempt at utilizing a "double stud" wall: 12" of cellulose insulation (R-42). We intend to monitor the energy use with the new tenants to review performance. Meanwhile, one thing we have learned is the apartments are well-insulated from the noise of the busy city street; it's very quiet in there! Completed 2014.